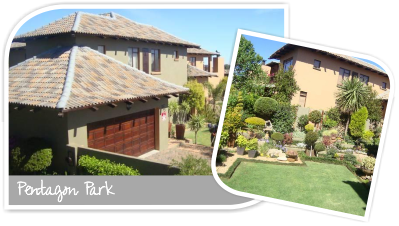 Pentagon Park is a relatively new, up-market residential suburb in northern Bloemfontein. It is less than 8km from the National Botanical Gardens and is adjacent to the Sewe Damme conservation area where you can take a relaxing stroll, brisk walk or, for the adventurers, even a challenging off-road mountain bike trail. The area is continuously expanding with new, architecturally designed homes and complexes, and offers property options over the full spectrum of individual needs, price and style. North Ridge Mall is a mere 2.5km from Pentagon Park and with retail brands such as Dis-Chem, Pick ’n Pay, Reggies, Biggie Best, Truworths, Spec Savers, movie theatres and a variety of restaurants – from steak to fish to pizza and pasta – it is a one stop shop mall for the whole family. The Virgin Active Gymnasium is also l ocated within this mall. 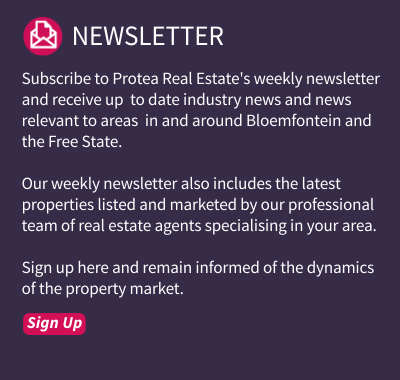 Schools in close proximity to the area include David Davidson Pre-Primary School, Brebner Primary and Secondary School, Willem Postma Primary School and Sentraal High School. Oranje Meisieskool, Grey College, Eunice High School, St Andrew’s School and Saint Michael’s School are also within an 8km radius from Pentagon Park. The suburb is blended with a perfect combination of houses, townhouses and duets. 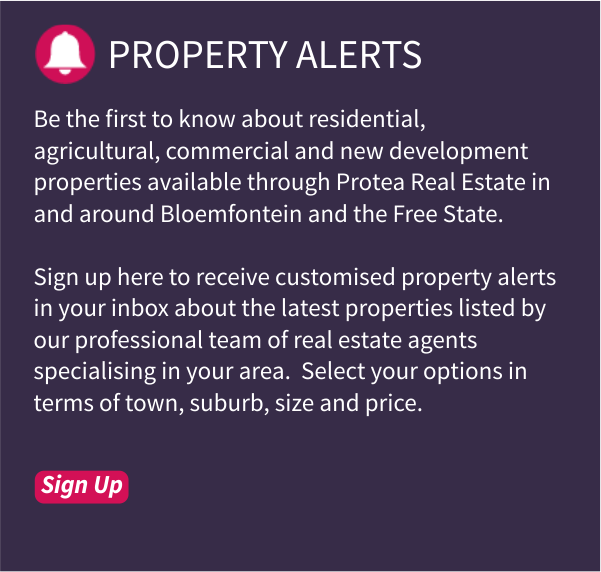 It roughly consists of 25% houses and 75% sectional title properties like townhouses and duets. If you prefer a newer look, modern property, look no further than Pentagon Park!